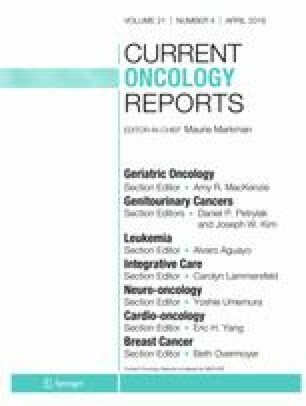 There has been an increasing interest in using complementary and alternative medicine (CAM) approaches to treat cancer. It is therefore relevant and timely to determine if CAM biomarkers can be identified and developed to guide cancer diagnosis and treatment. Herein, we review the status of cancer biomarkers in CAM research and treatment to stimulate further research in this area. Studies on promising anti-cancer natural products, such as PHY906, honokiol, bryostatin-1, and sulforaphane have demonstrated the existence of potential cancer biomarker(s). Additional studies are required to further develop and ultimately validate these biomarkers that can predict clinical activity of the anti-cancer natural products used alone or in combination with chemotherapeutic agents. A systematic approach is needed to identify and develop CAM treatment associated biomarkers and to define their role in facilitating clinical decision-making. The expectation is to use these biomarkers in determining potential options for CAM treatment, examining treatment effects and toxicity and/or clinical efficacy in patients with cancer. David Frank, Nagi Kumar, Yung-Chi Cheng and Edward Chu contributed equally to this work. The authors thank the past and present members of Dr. Y-C. Cheng’s laboratory group who were involved in the pre-clinical and translational studies on PHY906 and to all the clinical investigators, patients, and their families involved in the PHY906 clinical trials. The authors also thank Dr. Lyndsay Harris for the support and valuable comments, and to Dr. Laura K. Fogli for formatting this manuscript. This research on PHY906 was supported in part by grants from the National Cancer Institute (grant nos. P01CA154295-01 and P30CA147904), the National Center for Complementary and Alternative Medicine, and a grant from the National Foundation for Cancer. Dr. David Frank was supported by NIH grant R01-CA160979. Aniruddha Ganguly declares that he has no conflict of interest. David Frank has received research funding from Gilead and Cstem; has received compensation from Kymera for service as a consultant; has a patent issued, licensed, and receives royalties for STAT Modulators; and has a patent pending for targeting the transcription factor NF-kB with harmine. Nagi Kumar declares that she has no conflict of interest. Yung-Chi Cheng is a fellow of the National Foundation for Cancer that partially supported PHY906 studies. He is a co-founder of Yiviva with the Yale University to further develop PHY906 (now known as Yiviva 906) for the treatment of various human cancers and other GI disorders. Edward Chu is a member of the scientific advisory board of Yiviva.